2019-01-16 ETH fork postponed, Special guest Lolliedieb from lolMiner and BEAM, Trust relationships with Pools, and more! This is good for those who didnt yet have enough for a ETH payout from the pool. ETH down 18% ETC down 14% for the week. New bminer will have GRIN (mimblewimble) mining support for nvidia. 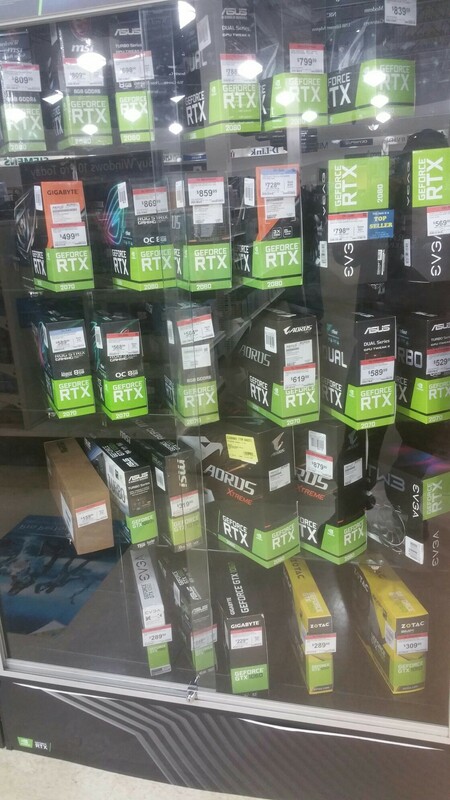 RX590 and RTX 2060/70/80 are all available in stores. Prices are starting to become reasonable. Masternodes? Maybe we could monitor them. How is your life with mining? in WA state USA, a crypto exchange like Coinbase must have enough money to cover all crypto that you have in play / to cover the bets. Some regulators believe this should apply to pools as well. Ratings companies believe that pools should be rated. JD Power says so many pools results do not line up. Power solution from Roy: he's mining at a laundromat. in LA County, you can get a discount on power/water. If you have efficient machines you get a great power rate! Like 6 cents / kwh. In middle of nowhere, Canada, 1.2c/kwh can be found. Power Subsidies are going away little by little. Dont forget we have tax advisors available for you. ask@getpimp.org for your questions! Lolminer is being rewritten from the ground up for performance and optimization. He wants to be able to support other algos besides Equihash - and more AMD + NVIDIA mixed support. The way the work is scheduled is complex - OpenCL and CUDA take the work much differently - and it's tricky not to go to 100% CPU usage. The lolminer 0.7 alpha so farsupports a brand new hot coin called BEAM. This is an Equihash 150_5 variant that runs great, and is focused on AMD. Once he gets the other algorithms in, we will deploy via pimpup. Currently BEAM mining is available in PIMPOS for AMD and NVIDIA using bminer, and NVIDIA using gminer. BEAM and GRIN Mimblewimble approach - requires wallet to be open to receive payments - this is a recent technique for handling transactions - idea is that each block that's mined on the chain, there's no transaction data in there in the classical way - each block has one big transaction of inputs, and an output. There's a map of which inputs pay which outputs. It's just a public and private key for input and output. and this message transfers through all of the network - and the receiver has to pick up the message not too much later than it was sent, and look for the id, and acknowledge and handshake and the coins are transferred. This way the transaction can occur without any permanent address. This makes the entire transaction anonymous. But the wallet has to be open to make the handshake within the time frame. So far there has not been many issues with payouts being missed. Different pools have different approaches. Sunpool issues the public and private key - and then you can withdraw your own funds with your private key. sparkpool, leafpool are other BEAM pools that are available. They have all paid well so far. BEAM is very surprised on the high nethash, and happy about that. He Expect to bring the other algorithms back by beginning of Feb. Anniversary of lolMiner. Question: How do we keep an eye on everything?